Uptime Solutions Ghent is an international and multilingual company, meeting customers in their own language and communicating in a global world. The Uptime Solutions Centre in Ghent covers 16 languages and employs people with different nationalities and backgrounds. 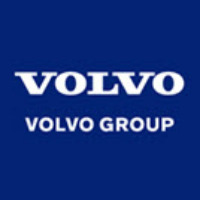 Uptime Solutions provides round the clock support for Volvo customers including Volvo Trucks, Volvo Bus, Volvo Penta, Volvo Construction Equipment and Renault Trucks. Our Mission is to sustain high customer satisfaction and maximum vehicle uptime through the delivery of a ‘Roadside Assistance’ and other related services. The ‘Roadside Assistance’ service which includes vehicle uptime, financial management and customer relations is extremely important for the Volvo Brand image. The service is delivered through our highly motivated, multilingual, customer-minded staff along with our leading edge applications and proactive mind-set in the management of the ‘Roadside Assistance’ process. We are constantly evolving our competencies to stay ahead of the competition and to secure that we continue to remain a partner of natural choice.The internal training course includes technical product training and learning advanced software tools.